Please note: Owner lives in separate semi-detached house. semi-detached house, 4 - 5 people, 3 room/s, 2 bedroom/s, 1 bathroom/s, approx. 85 m², 2 floor/s, separate access to the property. Equipment: satellite TV; stereo; internet access Wi-Fi (included); gas central heating. Important information: Internet access (WiFi: 10 GB -- 10 € . Basic usage of 10 GB per stay included). Kitchen: Kitchen/ cooking equipment: 3 gas rings, microwave oven, combination fridge-freezer, coffee machine, water boiler, toaster. open to the living room (ground floor), further dining area for 2 people, exit to garden. Estate: (shared use with the owner): approx. 2000 m², partially self-contained (fence, hedge, entrance gate), meadow. Garden maintenance by the owner 1 time/s per week. Situation: detached position, rural, in the district Valletanaro, panoramic view. Plot description: terrace 20 m² (pavilion), balcony, 2 sun loungers, brick barbecue. 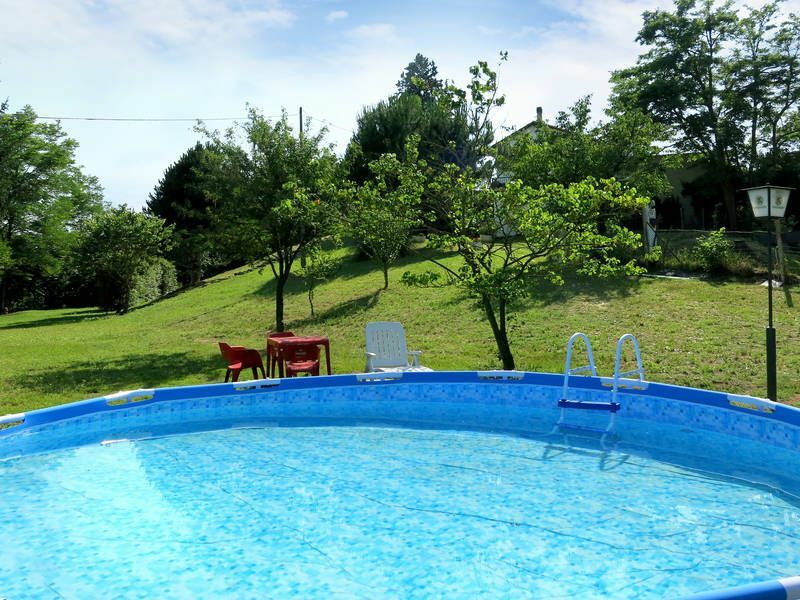 Private pool: Private pool: Ø 3.0 m, 0.80 m deep, 12.05.19-07.09.19, frame swimming pool. Pool area: sun loungers, sunshade. Arrival: Airport Turin Caselle in approx. 90 km. Train station Asti in approx. 7 km. Golf course: Asti (9-hole golf course) in approx. 7 km. Next village/town: Alba in approx. 20 km. Center Asti in approx. 7 km. Turin in approx. 65 km. Public swimming pool: Public outdoor swimming pool in approx. 7 km (Ast). Shopping: Next supermarket (Asti) in approx. 3 km.